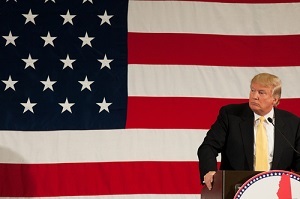 On June 16, lightning rod entrepreneur Donald Trump became the twelfth Republican to announce candidacy for his party's nomination in the 2016 U.S. presidential election. You see, Donald Trump's net worth currently stands at $4.1 billion, according to a June 18, 2015, Forbes estimate. Yet Trump has filed for bankruptcy in the past — multiple times. The strength (or weakness) of Trump's financial track record going into the 2016 election comes down to the difference between these two types of bankruptcies. Bankruptcy is a tool that allows debtors relief from their debt when they cannot pay it back. Through bankruptcy, a debtor can get a "financial fresh start." However, there are six different types of bankruptcy under the Bankruptcy Code (the federal laws of U.S. bankruptcy): Chapters 7, 9, 11, 12, 13, and 15. These chapters mainly differ in terms of who the debtor is. For example, farmers and fisherman can file for debt relief under Chapter 12 bankruptcy. Municipalities can file for Chapter 9 bankruptcy. When it comes to the issue of Donald Trump's bankruptcy, we are only concerned with Chapters 7 and 11. That's because a Chapter 7 filing is indicative of poor financial management skills on behalf of the debtor — a red flag for voters evaluating a presidential candidate. But a Chapter 11 filing doesn't necessarily indicate poor management. In fact, it can be seen as a tool that improves a company's value for investors. Chapter 7 bankruptcy: Allows an individual to be freed of most debt in exchange for a ruined lined of credit for 10 years. Chapter 11 bankruptcy: Allows a corporation to stay in business while it restructures its business and attempts to reduce its debt. When Trump tweeted, "I never went bankrupt," he was being truthful. The real estate magnate has kept good order of his personal finances. You see, all four of Donald Trump's bankruptcies were the Chapter 11 type. Each resulted from over-leveraged casino and hotel properties in Atlantic City. "I've cut debt — by the way, this isn't me personally, it's a company," Trump clarified to Forbes in April 2011. "Basically I've used the laws of the country to my advantage and to other people's advantage just as Leon Black has, Carl Icahn, Henry Kravis has, just as many, many others on top of the business world have." Trump emphasized that many "great entrepreneurs" have used bankruptcy to restructure debt, free up capital, and improve their businesses. Reed Smith partner Michael Venditto, who has represented clients in high-profile Chapter 11 cases (including bankrupt airline TWA), added in the same article that "to the ordinary person in the street, [four corporate bankruptcies] may seem surprising, but certainly not to me. Chapter 11 is how you reshape and restructure a company that has problems. It doesn't indicate anything nefarious or even bad management." Obviously a smart man, not a man of principle. A man of betrayal, a man of selfishness, a man who will sell his mother for a buck. Perfect selection for the president of United States, he has my vote! Really? Donald Trump? If that's the best the GOP can do, ANYONE can run on the Dem ticket and win this election. LOL.. In your dreams, maybe!!! As we have seen the lefts choices (past, present and future)… One word, PATHETIC!!! So, you have no room To talk!!! Except Hilary! If she's the best the democrats have to offer and trump or cruz is the best republicans have to offer we are all in so much trouble! A Donald Trump Presidency would be a disaster! He would throw his weight around and start a war with China or somebody in the Middle East. Anyway, we would have turmoil and in the end, tax increases to pay for it. As it is, we are facing tax increases for the last 8 years of irresponsibility. No free lunch for the American Middle Class, irregardless. He's a far better choice than anything else out there.. And exactly what this country needs! Time for this country to go from trash to class once again!!! Oh yes, because the brilliant Harvard Law grad who became president sheerly through community organizing and smart campaigning is less classy than the whining child who got C's all throughout college, says things like "nukular" and "man and fish can coexist peacefully," got us into two major wars to continue his daddy's legacy of imperialism in the Middle East, and tanked the national economy. Much quality, such wow. Lol. How about we elect someone who has been extremely successful in every position of power he has ever held like Bernie Sanders? He has my vote. I'm be amazed if he can pull it off. I'll also be very excited and happy! I couldn't agree more! The fact he's been in politics for 30+ years and is only worth $300,000.00 proves he's not selling us out to the corporate whores! Class????? You associate Donald Trump with class?????? That is about the funniest thing I've heard since …since…. I can't even remember. As my Mom would say " he's a piece of poop". Mom worked for a company that had to close it's doors because Trump filed for bankruptcy and was allowed to pay pennies on the dollar to the folks he owed money to that had preformed work related to the construction of the Taj in Atlantic City. If he had ANY class, once he was able to restructure and again became solvent, he could have taken care of those that had taken care of him….That NEVER happened. Our urgent problem right now is our BORDER and our trillions in debt: current $18,trillion plus $238,trillion in unfunded liabilities like social security pensions, Obamacare,Medicare,Medicaid, govt. employee pensions, military benefits, etc. Now, who among the candidates have any experience in managing and restructuring failed businesses which were victims of "economic downturn" like Trump's billion dollar corporate investments which he turned to become solvent again? Only Trump has that experience, he manged to restructure those businesses to stay open and keep his employees instead of closing the doors. Trump never filed personal bankruptcy. A few of his business investments filed Chapter 11 to stay in business while restructuring the company to stay solvent and keep its doors open, and most importantly keep thousands of employees working. This is the man we need to do same to our BANKRUPT GOVERNMENT WHICH IS OPERATING ON BORROWED FOREIGN MONEY.. The borrow, spend and tax policies of the Democratic controlled Congress and Senate for the last 50 years led us to this bankrupt government. The private sector is okay but hardly growing but our Federal govt. is in deep trouble. Come Oct. 20 this year when the IMF announces the new "reserve currency" basket, the dollar will be dumped as the dominant reserve currency and will be replaced most probably by SDR (Special drawing rights) composed of solvent countries. Overnight our way of life will be changed. With your reasoning Trump the guy who filed for bankruptcy isn't the pick, it would be the Bankruptcy court Judge! You don't ask fat people how to diet, as you don't ask someone who's filed for bankruptcy 4 times to fix the economy! You need to educate yourself. Trumps BK's gad left hundreds if people unemployed and in financial disarray. How can anyone be so ill informed? Do you know why Social security is so short of funds? Because politicians won't keep their damned hands off our money! They keep borrowing to fund their corporate pay offs and never pay it back! Immigrant workers pay the same taxes you and I do! Their employees deduct the same taxes you and I pay except they do not get to file income for tax refunds nor are they EVER eligible to receive social security, even if they become legal, they do NOT get credit for any taxes paid before that date. EVER! Our unfunded liabilities are wars started with innocent countries with a lie and tax credits the republican congress REFUSED to allow to expire for corporations and the top 20% wealthiest Americans when they allowed the tax credits for the middle class to expire even though they KNEW that would mean we still had to borrow money from foreign countries that had to be repaid WITH INTEREST, a move applauded by idiot republicans who actually believed the crap they were "job creators" even though the only jobs they've created since george bushs "out sourcing" which was also applauded by republicans by the way, has been over seas while bush jr"s out sourcing has us rewarding companies to move jobs over seas with American tax payers money! Obama has kept 97% of the bush administrations policies in place, that is why we are so far in debt! Obama sold us out to the insurance and pharmaceutical industries by NOT giving us a public option ! That was the only way to keep cost affordable. I could go on and on, but you republicans don't care about facts. He's the last thing the Country needs. A President needs to have maturity, social skills and capable of handling conflict, all things he lacks. What do you think will happen, if he alienates America's biggest trading partners like China and Mexico. Or if he refuses to help an Ally (I could see that happening because he's incapable of thinking about anyone other than himself and he has no respect for America's Allys, he proved that when he insulted one of them) who needs it due to either a natural disaster or terrorist attack, when it's America's turn to need help. If he becomes President, Americans have high taxes to look forward too because if America loses China as a trading partner, the economy will lose billions of dollars if not more. It truly will be a miracle if America doesn't lose trading partners/allys and make new enemies with him as President. Good comments, but no one has mentioned about this guy being a racist or a white supremacist. Just watch what he said. He suggested to mmigrate from Europe (I think he meant ONLY)- he didn't mention any countries except carnations countries, did he?. I'm pretty sure the U.S. has benefitted plenty from those non-Europian immigrants. He cursed Mexico, China, Japan (some of us think Japan is our true ally)…. And, he said he and Putin could be friends – because he is white?????? A leader of a country is supposed to be someone with Wisdom and Vision, not a bully. Plus, has anyone noticed his manner when he give a speech? He sure can talk, but without any class. A 3rd rated speaker looks better than this guy. What a joke!! And no one has questioned his ex-wife's divorce statement in court docs. that Trump raped her! And no one has mentioned all the birther lies Trump told! Donald is nothing more than a 3rd rated clown. He must think he lives in NAZI GERMANY. Has always talked like if he is the only smart person in the world, the problem is that he has no respect to the Latino community. Wouldn't doubt if he is the head of the KKK. AND YES, I do believe he would sell his mother for a buck. May God forbid this anti christ of becoming leader of our nation. So, on four occasions his businesses have filed for Chapter 11 Bankruptcy. He considers it a smart business tool to "restructure the business and reduce the debt". Ultimately, someone comes up shorthanded and that has been the companies he owed money to: the ones that built his businesses. He pays them pennies on the dollar for what he owes them, they can't pay their workers and have to file for bankruptcy. The "little" people don't get paid and lose jobs, businesses are shut down. But Trump gets richer on their broken down, broke backs. I'm sure he considers all those that he left in his wake "losers" as well. Sadly, this shouldn't be surprising. Trump's comments regarding POW's are so atrocious I can't believe anyone would consider voting for him. But, his callous remarks are a window into his warped mind. While speaking about McCain, Trump basically called POW's losers because they were caught. Seriously, he has the audacity to refer to any man or woman that fought, was injured and/or died for the freedom he enjoys, POW or not, while he is running for the office of Commander in Chief, as anything less than a hero let alone to insinuate that they are a loser for being caught. Yes, he backpedaled and tried to say otherwise without apologizing for the initial remark. This is yet another window into his warped mind. True to his narcissistic nature he believes we are all minions who should be grateful to do his bidding for free and then vote him in as President as well. Why is The Donald worth Billions? Because he overlevereged properties, striped the profits and transfered them to his personal accounts. Then he filed bankruptcy so he could avoid paying his conpanys bills. That is not smart, that's amoral. Donald tRump is well on his way down the Ross Perot highway and it is only a matter of time before he is only good for spoiler status! The main problem the GOP has is that all of the remaining 16 seem like they are running for the VP spot and not the top of the ticket. Boy Jebby looks so out of it you got to wonder if he is on meds or something? In fact to date the only one out there who even looks remotely like they can handle the job is Hillary, and this is coming from a person who dislikes her! Like I said, an Honest Liar! REALLY!!! America had a surplus of 170.19 billon dollars when George W took office in 2001 and led our economy to the 2008 crash. When he left office in 2009 we showed a 1559.6 deficit. Obama's presidency has managed to reduce the deficit to a 492 billion dollar deficit despite all the challenges and prior commitments he inherited. In my opinion the last thing we need is someone else in the white house that has used the system for his own gain while others suffered as a result. US Debt in 2001 was $5.7 Trillion. There was no "surplus". When Obama stared office in 2009 the National debt was $11.8. Now it's Well over $18 Trillion. Obama is even worse than Bush so there is NO reduction. It all a manipulation of the numbers. As you have taken your numbers and manipulated them! Bush took over a debt free, deficit free country as Reagan did! Both Bush and Reagan overspent, while cutting taxes on the rich, and raising taxes on the middle class! Bush's war in Iraq started on lies, and his Medicare Prescription plan were never budgeted until Obama took office, so that along with the mess left by Bush and Republicans, Obama has done a good job with all the obstruction from the right to correct the direction of the country! Are we all the way back, no, and its because Bush and Republicans screwed the country so badly! You seem to have forgotten a few very important details her! The republican congress were the ones whom REFUSED to allow tax credits expire for the to 20% richest Americans and corporations when they allowed the middle class tax credits to expire, even though that meant we would have to continue borrowing money from foreign countries that would have to be REPAID with interest. George Bush started in office with a 236.9 billion $$ surplus. Nominees have to be either Bernie or Ben , the rest are misfits or on the elites leash.. I'd vote for Trump if he was a quarter as smart as he professes to be. Thanks for sharing, I didn't know this about Trump. He had four corporate bankruptcies, or rather his company did. I assume he didn't deal with that a great deal, so I wouldn't pass credit to him too quickly.